Below is a list of the general questions which people ask us most frequently at our clinic. If you have a query that isn’t answered here, just contact us and we’ll do our best to answer your query. 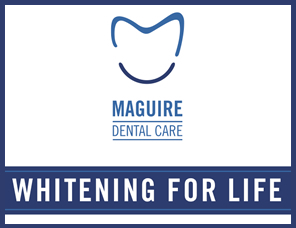 Conveniently located in Marketpoint Medical Park, Patrick Street Mullingar. Three minutes from the centre of town and a 5 minute walk from the train station. Visit the Contact Us page for a Map & Directions to our clinic and directions on how to reach us. After taking your details at reception, your first appointment will be with one of our dentists who will carry out a full examination of your teeth and gums. They may also take some digital x-rays and / or photographs at that visit. Once complete, your dentist will discuss what treatment options will best suit your needs. Many people also like to have their teeth cleaned at this appointment. At the end of the appointment you will be provided with a printed copy of your proposed treatment plan, which will give you an indication of how long treatment will take and how much it will cost. Our dentists and clinic staff will be happy to answer any questions you might have regarding tailoring your plan to your needs. I think I have PRSI cover. Can you check this? Yes we can. The Department of Social and Family Affairs (DSFA) Treatment Benefit Scheme provides Dental Benefit for qualifying patients. Prior to your first appointment with us, we would ask you to provide us with your PPS number. We will contact the Department and confirm that you are indeed eligible for an examination under this scheme. I have a dental insurance policy (e.g. VHI). How does this affect my appointments? We are happy to see patients with dental insurance policies. At the end of a planned course of treatment, we will provide you with a printed statement which you will need to submit to your policy provider in order to claim your benefit. We are also in partnership with VHI to offer a direct payment scheme in which you are able to get your treatment done under your VHI dental scheme and we will claim on your behalf. * Terms & Conditions apply. Do you see patients with Medical Cards? Can I claim tax relief on my dental treatment? Certain dental procedures such as crowns, root canal treatments and gum treatments, do qualify for tax relief. At the end of treatment, we will provide and help complete a Med 2 form for you and you can use this to claim your tax relief. Note: you will also need to download a Med 1 form which will accompany your Med 2 form as part of your claim. There is free parking outside the practice. Yes absolutely. We see patients of all ages and are happy to see children at the clinic. Visiting the dentist from an early age is so important to ensure a healthy mouth for life by providing preventative advice and care. Our dentists and nurses have extensive experience dealing with children and strive to ensure that your child’s trips to the dentist are pleasant and rewarding. Copyright © Maguire Dental Care 2018.